Shutter Tours has put together a fantastic opportunity again for 2019 to fulfill that lifelong dream of going to Africa. This is our six year partnering with one of the premier guide companies in Tanzania to offer you this incredible travel experience. As with all of our tours, you will also have the guidance of a Shutter Tours Safari Leader at your disposal to help improve your photography during this once in a lifetime experience. Our partner in Tanzania is one of 300 members of the Tanzania Association of Tour Operators to ensure they are a trusted company that are properly registered. This trip will be limited to four guests per vehicle to ensure we provide a quality tour that you expect from us. Not only will you have the ability to take better photos but your personal professional photographer will also provide you with memorable images so that you can share your experiences of your 12-day adventure. Upon arrival to Kilimanjaro Airport, there will be very little you will need to spend your money on should you choose not to. 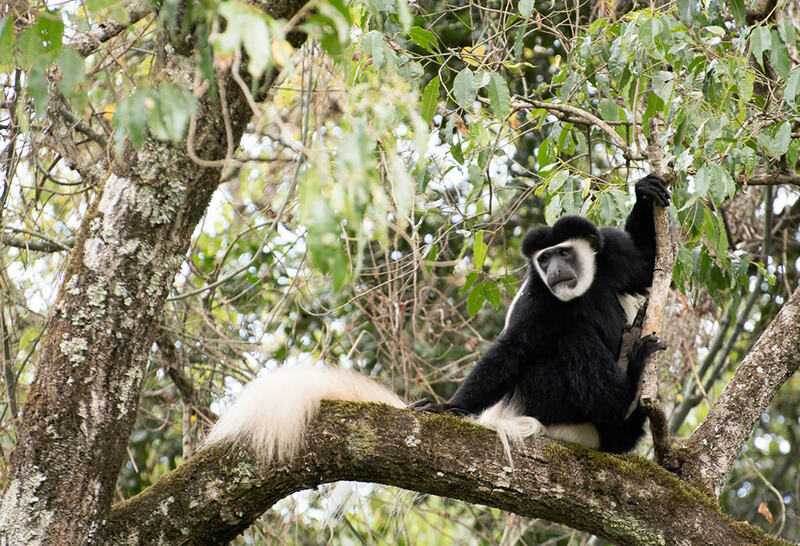 All food prepared by local chefs and luxurious lodging is included in the price as well as transportation costs and park entrance fees in Tanzania. For 2019 we are including the cost for tipping of guides, hotel, porterage, etc. See below for inclusions and exclusions. Upon arrival at Kilimanjaro Airport, you will be met and warmly greeted by our safari representative who will transport you to the Lake Duluti Serena Hotel for dinner and an overnight stay to rest for the start of your great adventure. Lake Duluti Serena Hotel is nestled at the foot of the wooded slopes of Mount Meru, this unique hotel stands amid coffee plantations on the shores of tranquil Lake Duluti. Designed to echo the traditional style of the colonial coffee farm, which originally stood on this site. After breakfast, drive to Tarangire National Park for lunch followed by afternoon game drive in the park. Dinner and Overnight stay at the beautiful Tarangire Sopa Lodge with its beautiful overlook of the park. 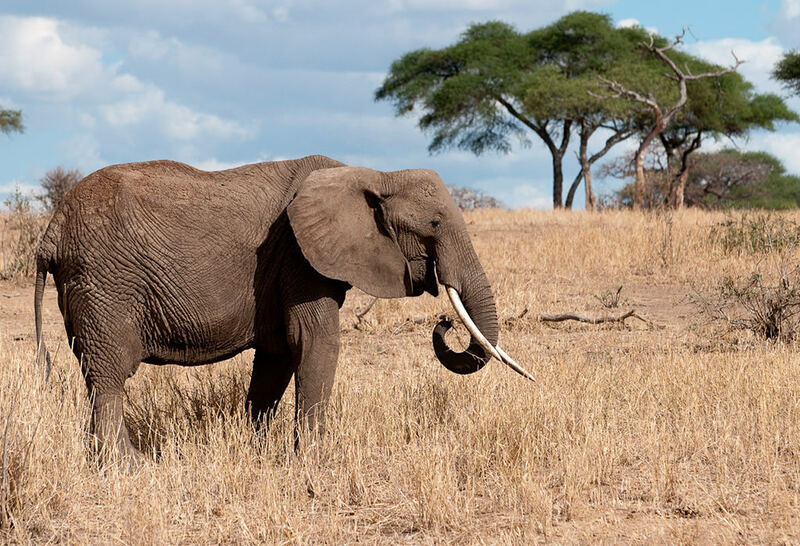 Tarangire is the third largest national park in Tanzania and best known for its largest herds of elephants in Africa, tree climbing lions and some of the oldest trees in the world full of amazing stories, the gigantic Baobab Trees. Here you'll have a true wilderness experience with a diversity of wildlife to observe. 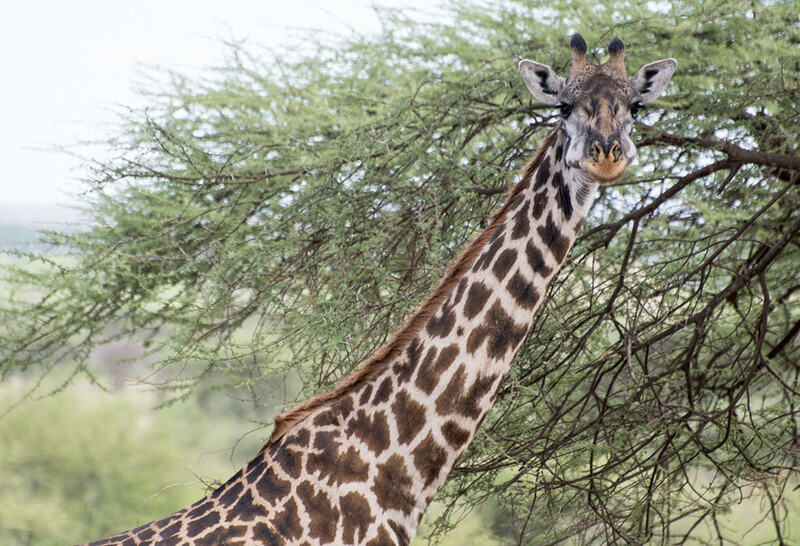 By now you will have seen many Elephants, but you'll want to keep your eye out for Zebras, Dik-dik's and many other animals such as the mighty Ostrich. All your childhood dreams of seeing animals in the wild in Africa start to come true as your day is spent exploring the park. Your guide will share with you many facts on animal behavior, migration paths, and their life cycles as you increase your knowledge about the animal kingdom. Dinner and overnight at beautiful Kitela African Spa Lodge. Day 5 will include an optional once in a lifetime visit to the Hadzabe Tribe as well as a cultural stop at Mto wa Mbu village. 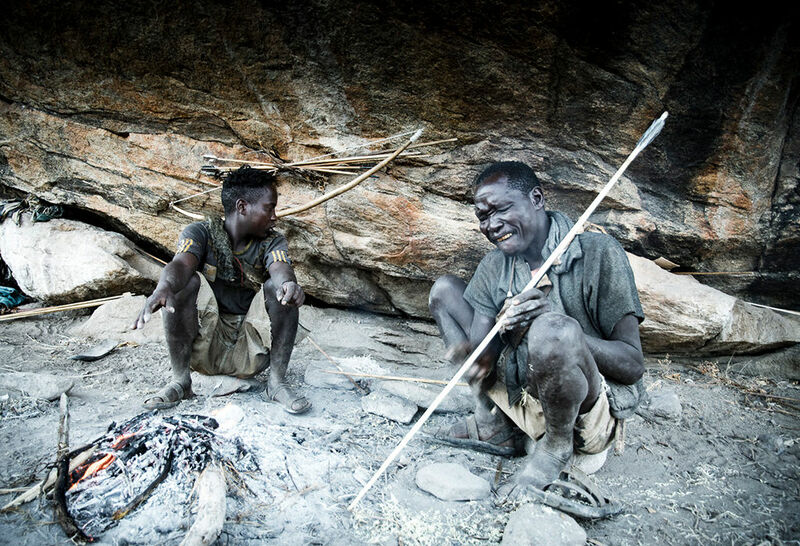 Here you'll have an opportunity to learn about the Hadzabe's way of life that is unchanged in the past 10,000 years. The village visit includes lunch and a plantation tour along with a visit to an artist co-op to purchase paintings. Dinner and overnight at the beautiful Kitela African Spa Lodge. 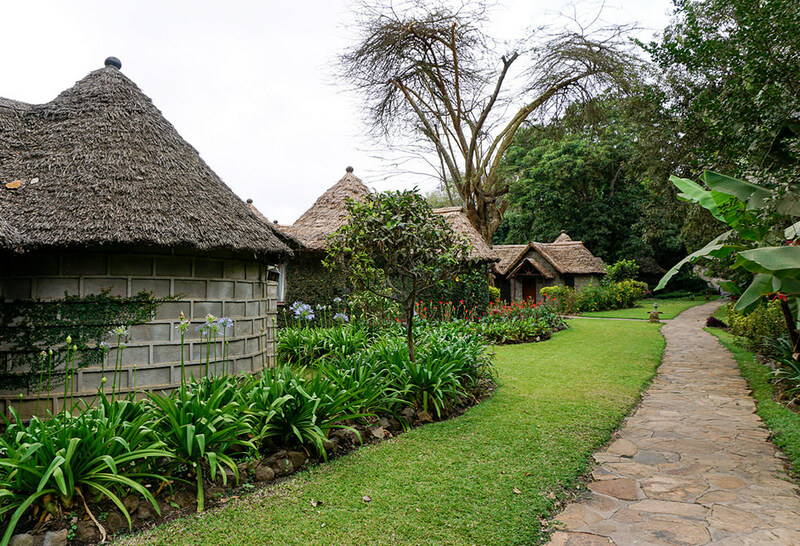 After a leisurely breakfast, you will have an opportunity to visit Iraqwi Cultural Centre at Karatu where you will be privileged to learn about the migration of different tribes across Africa and the rich histories of Tanzanians. 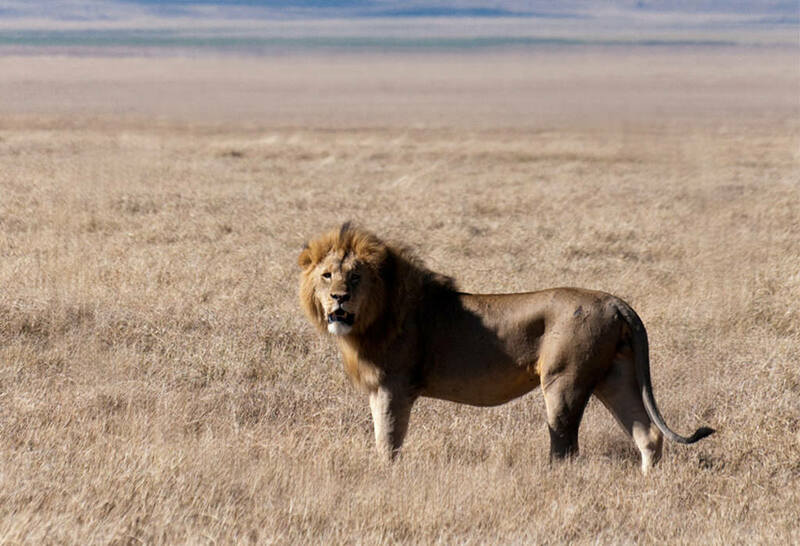 Later during the day we drive to the famous Ngorongoro Crater for lunch, the best place in Tanzania to see the big five, followed by an afternoon on the Crater floor of the Earth’s largest unbroken and an unflooded caldera. Dinner and overnight will be at the amazing Ngorongoro Serena Safari Lodge overlooking the crater. Ngorongoro Crater is one of the seven natural wonders of the world and also known as "Africa's Eden". Here you have a great opportunity to perhaps see your first Rhino, prides of Lions, Wildebeest, Cape Buffalo, Zebras and for you bird lovers, over 400 species of birds call the crater their home. Mid-day you will then enjoy a picnic lunch on the crater floor before resuming your afternoon game drive. Dinner and overnight stay will continue at the Ngorongoro Serena Safari Lodge. Today your drive will take you to the Olduvai Gorge, one of the most important prehistoric and archaeological sites on Earth made famous by Louis and Mary Leakey. 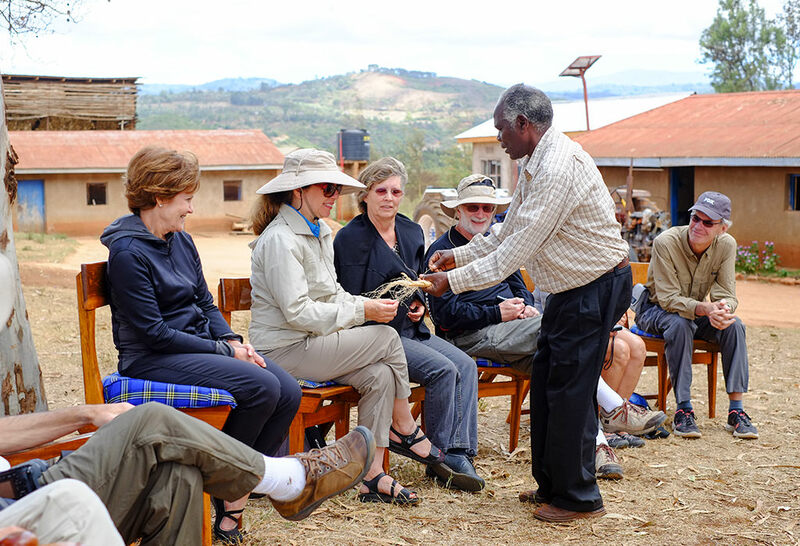 Here you will have an interpretive presentation before you continue to your visit to a Maasai Village to experience another fascinating true face of Africa. Here you will learn about the Maasai culture and see a traditional jumping dance by Maasai men. Dinner and overnight will be spent at the Kati Kati Luxury Tented Camp. 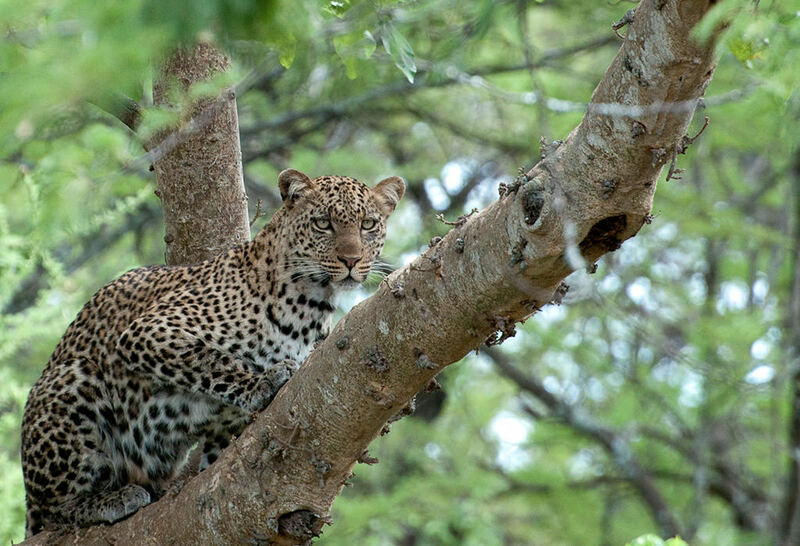 The mighty Serengeti awaits with Leopards, Cheetahs, Lions, Elephants and more. Here your day will be filled with adventure before it's time to enjoy an evening meal prepared by an outstanding staff. The location of the camp is set in grasslands overlooking the plains of the Serengeti and chosen to ensure you see the best of wildlife in Africa. Here you can enjoy an after sundowner of Cognac and a warm fire under the celestial African sky to share your stories with fellow travellers with another evening at Kati Kati. The endless plains of the Serengeti are dotted with thousands of animals, from Wildebeest to Zebras to Gazelles on their nomadic journey. In the wake of all these, follow the predators - Lions, Leopards, Cheetahs, and Hyenas, while vultures circle overhead. 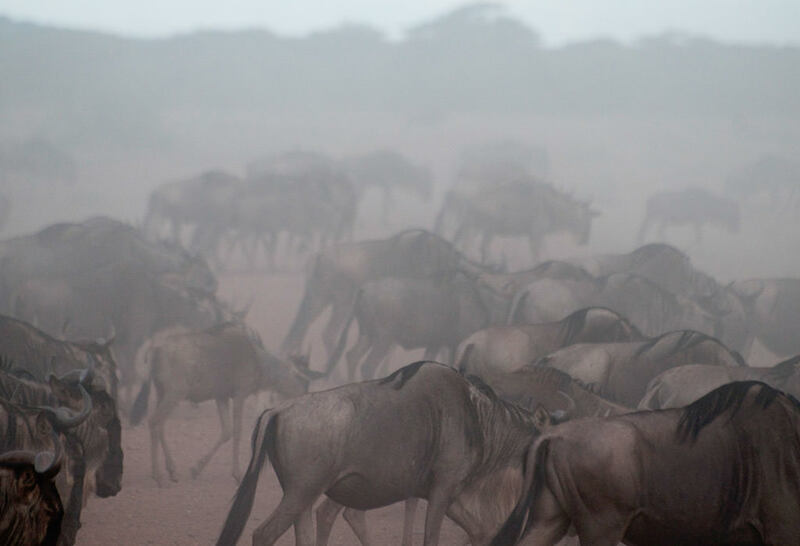 It is this migration that many people envision when they think of wild Africa. The timing of your tour will enable you to enjoy the magic of real African wilderness as you experience another of Africa's Natural Wonders. Dinner and Overnight stay at Kira Wira Permanent Luxury Tented Camp. Morning and Afternoon game drives in Serengeti as you explore the Kopjes and look for additional sightings to finish your final full day in Africa. 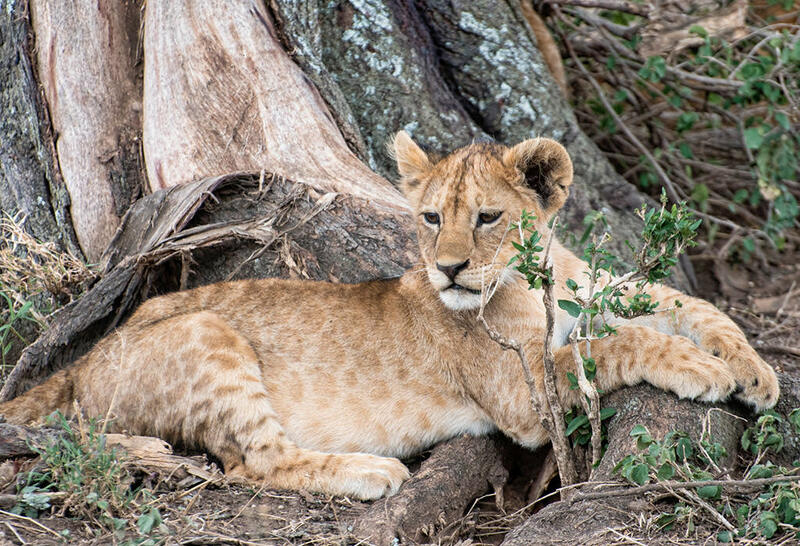 Maybe it's a Cheetah chasing a Gazelle, a Leopard in a tree or simply a pride of Lions gathered on the rocks in the midday sun, these are just some of the unique sightings you may encounter on your final day. Dinner and Overnight stay at Kira Wira Luxury Permanent Camp for your concluding night ahead of your morning flight back to Arusha. Your 1-hour flight back to Arusha gives you a wonderful opportunity to see the Serengeti Plain from the air. 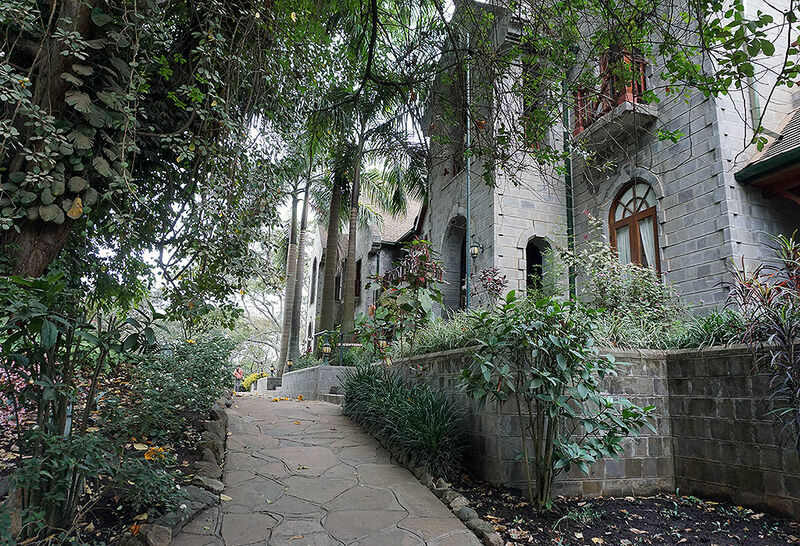 After you land you will then enjoy a lunch at the Cultural Heritage Center where you can purchase wood carvings, paintings, and Tanzanite - a rare blue/violet stone found only in Tanzania. Fedex, DHL, and UPS options are available to ship your purchases home. Your day room at the Lake Duluti Serena Hotel will allow you to freshen up before your transfer to Kilimanjaro Airport and your journey back home. Things of Personal Nature such as Phone Calls, Laundry, Drinks in the Hotels, Internet etc. Deposited bookings cancelled 30 or more days prior to travel - The $500 deposit is non-refundable and you will be charged any cancellation fees that are levied by the hotel, airline or other suppliers. Fully paid bookings cancelled 90 days or more prior to travel - The $500 deposit is non-refundable and you will be charged any cancellation fees that are levied by the hotel, airline or other suppliers. 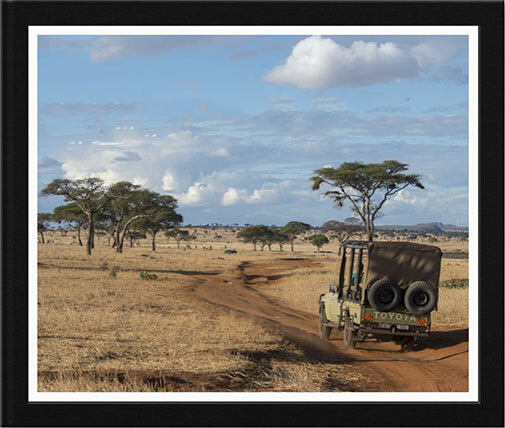 Check out "Africa Photo Safari Kit" for what we bring on Safari. Download our free ebook to learn more about this amazing trip. The ebook has been optimized for optimal download speed and images have been compressed. Please be patient after clicking download link as file size is almost 200 MB.